Whether it’s your first home or an additional investment property, the fact remains the same: buying a house is one of the most significant purchases you will make in your life. And unless you are a multi-millionaire, buying property is not a decision you should take lightly. But what influence should the current housing market have on your decision to purchase property? Should you use a real estate agent to help you in yours search for the perfect house? What will it cost you to purchase property in an area that is sought-after? Considering that house prices in Australia have more than doubled over the past 20 years, buying a house is no longer as affordable as it used to be. When you decide to embark on the journey that is home ownership, you should remember that this is a long-time commitment that few other commitments can equal. Although property can be a great long-term investment, it goes without saying that not all houses are good investments. According to the latest Census data, compiled by the Australian Bureau of Statistics, the percentage of households who owned their homes (with or without outstanding home loan debt) has gone down from 71.4% in 1994/1995 to 31% of homes being owned outright, and 34.5% being owned with a mortgage (which comes to a total of a total of 65.5% of households that own their home) in 2016. With this being said, Dr. Shane Oliver, AMP Capital’s Head of Investment Strategy and Chief Economist, maintains that home ownership is still a key goal for many Australians, even if it’s a dream that is sometimes delayed for some due to a lack of sufficient funds required to purchase property. If you’ve been saving conscientiously with the goal of buying property, and have been tailoring your budget accordingly, you might be one of the people that Oliver is referring to. There are a number of key factors you should consider before buying a home, and these go far beyond the way the house looks, what it costs and what your budget is. If you are ready to take the leap, here are some things that you should know when buying a home. When you are in the market for property, one of the key points you should remember is that you are making a commitment of quite a few years when purchasing a house. This is why it is of cardinal importance to keep in mind that, even though you are buying property at a given moment, you are still, essentially, buying for the next 10 to 20 years – maybe even for the rest of your life. First of all, you should really like a property, but that definitely isn’t all that is important. Doing proper research about the area you are buying in will serve you well in years to come, which is why you should always do thorough research about the suburb or city you are thinking of purchasing in. Future developments (or lack thereof) could have a significant influence on the price of your property in years to come, and this is why you should take a keen interest in what is planned for the area in the next 10 to 20 years. Development of infrastructure, the expansion of amenities, and the construction of schools should all be good signs for a suburb, as these facilities tend to make an area more sought-after as far as property goes, and could also lead to a rise in property prices, but this isn’t always the case. In contrast, be careful of areas that are experiencing a sudden resurgence of industry, as this can sometimes be short-lived and actually lead to financial losses at a later stage. Striking a balance between development and empty promises of grandeur is key. While you may be able to pick up what seems to be a bargain while an area is being eyed for development, it is far more responsible to verify details and ask about the long term, before simply taking rumours of development seriously and buying a cat in the bag. As a renter, the responsibility for the maintenance of the property you are living in remains with the landlord. However, when you buy a house, you are your own landlord, and you are responsible for all maintenance on the property. This is why you should seriously consider each property you view on its own merit, with warts and all. If you don’t love the warts now, you’ll probably despise them later. When looking at potential properties, you need to be a detective of sorts, and an eye for detail is your magnifying glass. While you may be looking for a house to renovate, remember that renovations take time, and that you will probably have to live with some eyesores for at least a while. Renovations are also costly: unless you are certain you have the budget to undertake extensive repairs, over and above the monthly house payments and extra costs that come with buying and owning a house, (including home loan account fees, council rates, body corporate fees, buildings insurance, utilities, and general maintenance, among other things) you might want to consider something that requires less work to turn it into the home you are looking for. If you see certain key repairs are necessary, and you were not particularly looking for a fixer-upper, stay away. This includes things like a roof that needs to be replaced, plumbing and sewer line issues, an electrical system that needs to be updated, a home that is located in an area which is at high risk of natural disasters (for instance, a house which is located in a high-risk flood or wildfire zone), or a suburb which has restrictive local zoning rules for home improvements. These issues are either expensive, dangerous, restrictive in terms of expansion, or will have an influence on the value of the property later. Take them seriously, and take care not to overlook issues like these because other aspects of a property appeal to you. In addition to the issues mentioned, it is recommended that you set up your own checklist of things that will be deal breakers, and another checklist with non-negotiable characteristics. 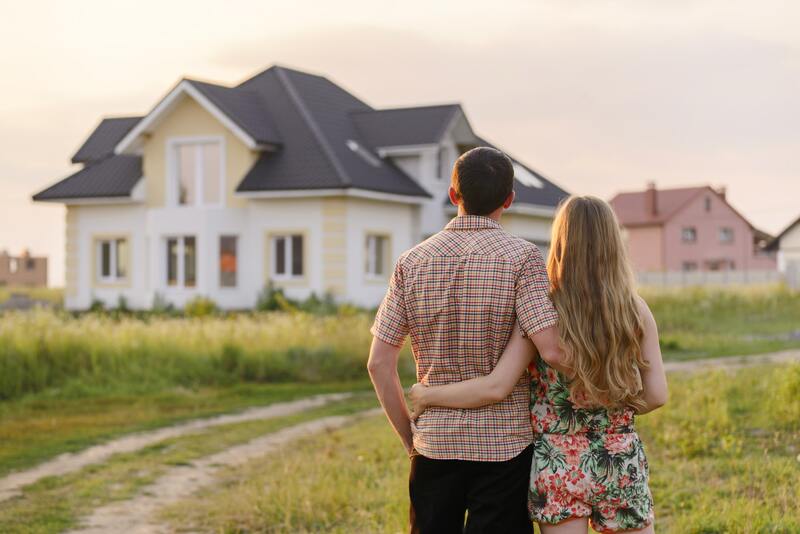 These differ from person to person, but you should be very sure of what kind of property you’re looking for, and what kind of property is a no-go for you, or you might spend your days looking at properties that don’t appeal to you at all. Defining the parameters of your home search will also make it easier for a real estate agent to assist you with finding something that you’ll love. Try to view a property more than once, especially if it is a house you are seriously think of purchasing, and look at your checklist again. Also, do not be so blinded by the property itself that you do not notice the neighbours. Neighbours can be a wonderful blessing or a terrible curse, depending on what you are looking for from the people next door. It sounds ridiculous, but conflict is often stirred up and homeowners sometimes even reconsider their purchase due to something as banal as neighbours who have dogs that bark constantly. Look out for things like a cavalcade of cars always parked in the street – your potential neighbours might be party animals, and if you are not, living next door to them will be an endless loop of club music on weekends when you’d prefer to relax in silence. The opposite, of course, is also true: neighbours who are almost hermit-like do not always keep an eye open for suspect behaviour or things that are out of the ordinary. You know yourself better than anyone else, and you are well aware of what you are looking for in a neighbour – most probably from prior experience. Knock on the neighbours’ doors when you view the property, and ask about their experience of the suburb and its inhabitants. You’ll get the gist of the area you’re eyeing as a potential “home sweet home”, and you might just make friends before you’ve even moved in, or gain some knowledge that leads you to a different house altogether. Your finances are one of the things you should be willing to be completely honest about. Overstating your income in order to make it seem like you can afford a property that is actually over your budget will not do you any favours in years to come. Changing interest rates might make your mortgage something which changes from being just barely payable, to entirely unaffordable, which in turn could lead to foreclosure of the property you saw yourself spending the rest of your life in. Most experts actually recommend that you buy below your budget. Not only does this save some costs on the initial purchase, it also creates room to use some extra cash for expansion or renovation of the property, and ensures that the property is still affordable to you in years to come. The website Financial Samurai suggests a 30/30 rule which can be broken down as follows: have a 20% down payment saved up for your purchase, a 10% buffer in your savings, and do not buy a house which requires more than 30% of your gross monthly income for payments on your mortgage. Property is considered a “safer” investment, but this is only the case if you buy responsibly and after thorough consideration. Buying something you can’t afford could actually put you in the situation where you are financially worse off. There is nothing wrong with having ambitions of climbing the career ladder and doubling your income within the next few years. The fact is, unless you are certain that this will happen, living it up like it already has simply won’t cut it. Consider your current income, and don’t even overstate it just a little bit – a credit check will quickly weed out any dishonesty on your part, anyway. If you are currently renting, try to put some money away, and live like you would if you had purchased your dream property. There’s no getting around it: being a homeowner is more expensive than renting. If you want to buy a house, living on a homeowner’s budget is a great test run for the real thing. Arming yourself with as much knowledge about the current housing market as you can acquire, learning what is planned for a suburb in the future, as well as a fluency in real estate terminology will do a lot for your background before you can truly call yourself a property mogul. First off, you’ll have to do some research about your own income, debt and expenses. There’s no use in starting a property search before you know how much you can afford to pay for a house. Also, look at mortgage options from a number of different financial institutions and decide which offer is best for you. 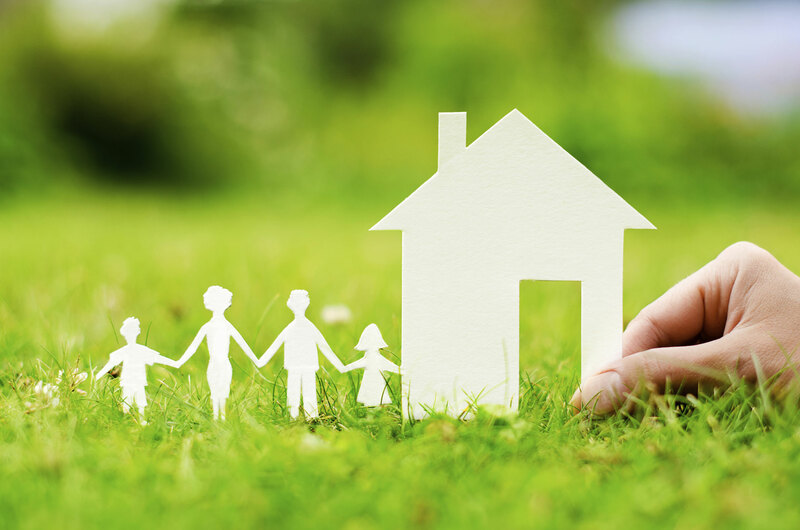 If you’re buying property for the first time, don’t forget about the First Home Owner Grant, which is a national scheme under which a once-off grant is payable to first home owners that satisfy a set of eligibility criteria. If you’re buying a home for the first time, this grant can go a long way and save you a substantial amount of money. Do your reading about the current property market, and do not stop. Australia’s housing market is always changing, and even more so, local property markets tend to fluctuate due to things like supply and demand, infrastructure upgrades or expansion and global markets. According to an article on the PropertyInvestor website, housing sentiment – which includes things like government policies, job security and media influence – together with supply and demand generally have the biggest influence on house prices. The housing market is complex and it’s important to try and grasp the factors that come into play here before you join the game. Do your research about comparable properties in your suburb of choice to get an idea of what you should be prepared to pay for a house in that area. Research neighbouring suburbs – these often have property going for substantially less than the suburbs that are usually in the spotlight, although the suburbs are often quite similar, with the same access to public transport, schools and amenities. As we mentioned earlier, educating yourself about the suburb you’d like to buy in is indispensable. Once you know what you can afford and what’s on offer, you’ll be able to recognise a bargain when you see one, and dodge a buying bullet before it is even fired. If there is one thing that is truly essential when buying a property, it is a qualified real estate agent with expertise and up-to-date knowledge about the local housing market. Many people decide to go on their own when buying or selling real estate, and unfortunately the outcome is not always as favourable as they would like. Using a real estate agent to help you in your property search is an extra bit of security and knowledge that will probably make your search for the perfect home take a little less time than it would otherwise. From paying exorbitant prices for properties that just are not worth it, to selling for an amount far below what you could be getting, taking someone who’s life’s work is the property market on board isn’t just a responsible decision – in today’s competitive property industry, it is essential. A real estate agent can help you with everything, from finding the property you are looking for, to negotiating a price with the seller on your behalf. When looking for a real estate agent, remember that you will be spending a lot of time with this person while house hunting. It goes without saying that you should get along with this person, but you should also be able to openly and frankly discuss something people often consider to be one of the most private things in their lives: their finances. A real estate agent needs to know what you are willing to pay in order to find you a property that fulfils all your criteria, while still being within your budget. Agents who are licensed are held to a very strict code of conduct, but it would serve you well to look for signs of unethical behaviour when you start searching for someone to help you buy. The perfect agent will certainly be able to find you a house that exactly matches your expectations, but for this to happen, there always needs to be a very clear and open channel of communication between yourself and your agent. If you feel uncomfortable with potential agents in any way when conducting initial interviews with them, move on and look for someone else. An online agent finder goes a long way to recommend the most qualified, experienced and knowledgeable agents to you, but how you get along with them is ultimately the deciding factor. Take your time when deciding on an agent to help you purchase property, and it’s bound to save you a lot of time later. There is absolutely no rush to buy a home. You might feel pressured to make an offer on a property you are not sure you want to purchase, or feel like you need to immediately make an offer on a house you love, because it feels like you have an emotional connection with it and someone else might just come and snap it up before you. Take your time with this important decision, and consider everything very carefully. If you even have just a small amount of doubt in your mind about a specific property, consult with your real estate agent and look around for more options. Buying a house isn’t, and shouldn’t ever be a hurried decision. You should be aware that this is a timeous process. From the moment you start thinking about buying a property, to actually signing an offer to purchase could take anything from a few weeks to a few months, depending on what you’re looking for and who is helping you look for it. Real estate agents are valuable partners and could help to significantly cut the time spent looking for the perfect property, provided that they understand your needs and expectations. Buying a house is a long-term commitment, which is why you should never settle for something that is simply good enough. Not unlike a life partner, the little things that annoy you now, could later lead to huge frustration. If you are buying a house, you really need to love it and see yourself living there for at least the next 10 years. Being a home owner means that you will constantly need to maintain the property in order for it to be appealing to future buyers and comfortable for you to live in. This comes with extra costs that you may not have initially bargained for, so don’t ever overestimate the monthly instalment you are able to pay. Know what you’re buying and understand the property market. 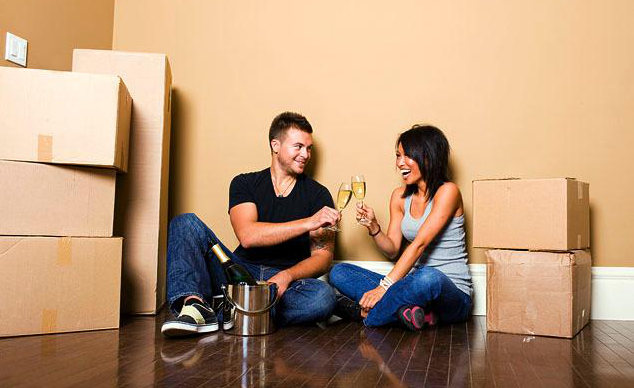 Living on a homeowner’s budget will help you to test the waters and make a proper decision about buying a house. A real estate agent with knowledge of and experience in the suburb you might want to buy in will be able to give you invaluable advice – choose the right agent to assist you, and take your time in doing so. Perfect Agent is an online agent finder that recommends top-quality agents to property sellers and renters. Contact us today for information and suggestions about agents that can help you sell your property quickly.